It breaks my heart that for every 1 of these little Noah’s that you see, there’s 9 other Noah’s you don’t see. 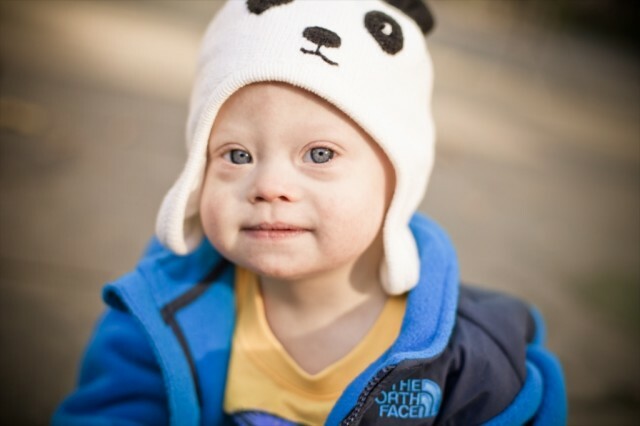 9 our of 10 children who are known to have Down syndrome through prenatal testing are aborted. These children are never given a shot at life. Never given a chance. So many families are told a lie. The lie is that you have to be afraid of the results of a Down syndrome screening test. Some in the medical community even make it seem as if having a child born with Down syndrome is a sad story. A compromise. A settling of something less, when what you really desired was something more. 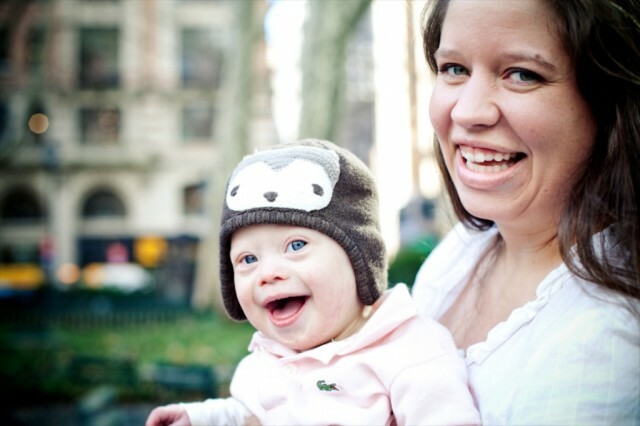 Some women are even afraid to have children out of fear of having a child born with Down syndrome. I want to let you know that is a lie. These children are worth it. So very worth it. 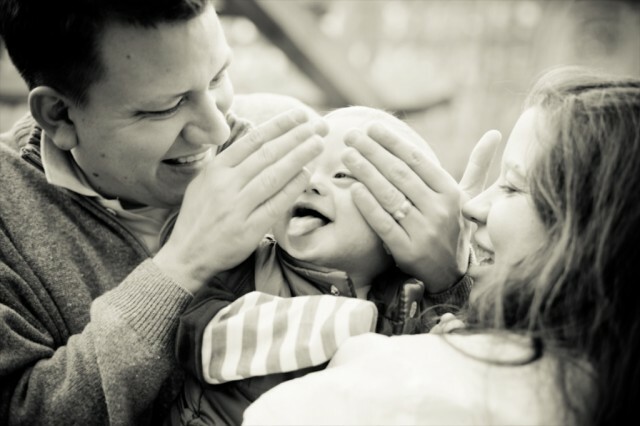 They say a picture is worth a thousand words….well here are 25 beautiful pictures of our son Noah…who just so happened to have been born with Down syndrome. I have you find more than 25,000 words of encouragement as you look at this little boy who is full of life, and longs to be loved. Down syndrome is ok. It’s very ok.
And be sure to check out this post of over replies of what to say to someone who has just received a Down syndrome diagnosis. 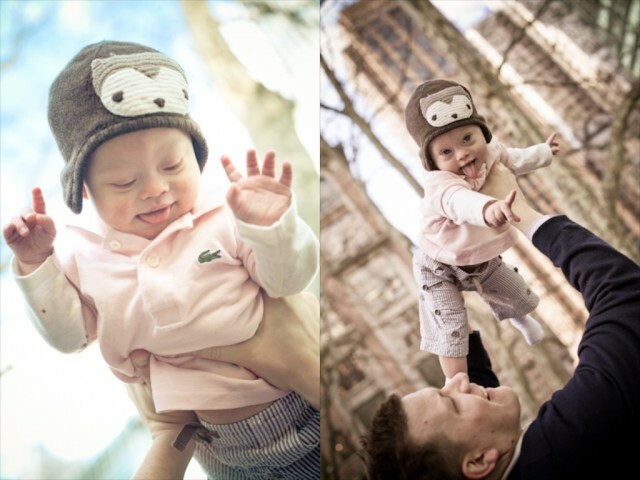 Thanks to Melanie Rose for the incredible photos of our son. 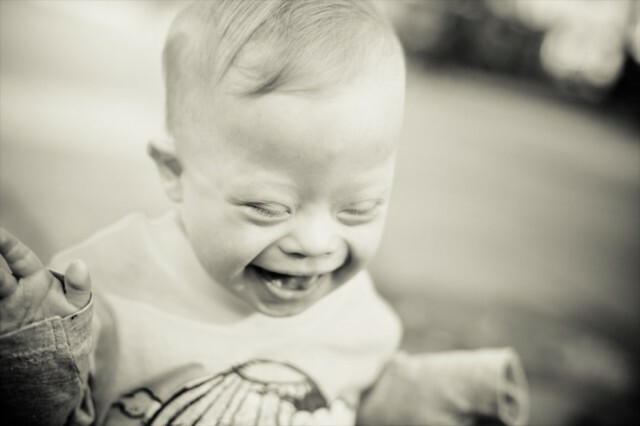 If you agree with the message that Down syndrome is ok, be sure to click on the “LIKE” button below, and leave a comment below letting us know! Thanks for sharing this message, and for supporting kids like Noah! I was of “advanced maternal age” when I had my twins and I decided not to have the test. I don’t think it’s fair to give someone a diagnosis before they are even a person. Lesley, I am of “advanced maternal age” and I did NOT get tested. I wouldn’t have done anything different had I had “negative” results. I couldn’t ask for a better child than the little man that came into my life last May! Enzo is EVERYTHING, and I mean EVERYTHING I could ever want in a child. Sure, he has Down syndrome, and it’s OKAY! All the therapies we go to seem like “play” to him and because he thinks that, so do I. It’s actually a lot of fun and I share the what all the therapists say when I see my other mommy friends. Although they don’t have a child with any disability, they too love me giving them a mini therapy session. The best part is when they come back to me with some sort of progress report because of the new “play” things they are doing with their child. God has blessed me and he has certainly has blessed you. Secretly when I found out I was pregnant I was wishing for twins. Double the fun! Double the blessings. Double the love! When we got our results last month, I was shocked and am just hoping for his health and happiness. I can’t imagine making the choice not to have him because of the test. I feel anger at just the thought! And the thought of all these little ones dying without every giving a chance at life angers me also. 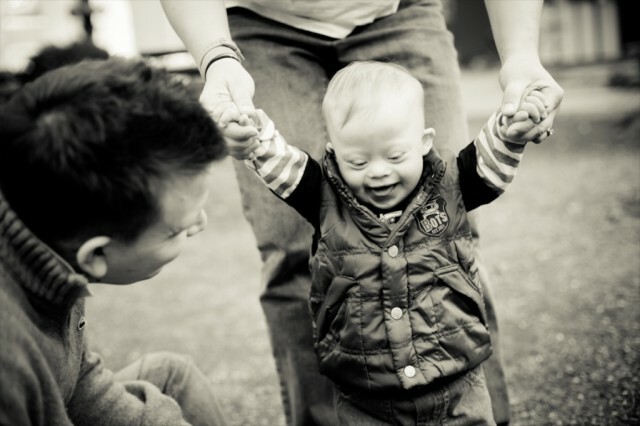 We are praying for God to chance the way the world thinks about Down syndrome. GORGEOUS pictures! What a darling boy he is – clearly he is beloved and brings nothing but joy wherever he goes. I just want to thank you for telling your story. People need to know that Downs children are just that children. I had my daughter almost 12 yrs ago when i was just 17. There wasnt alot of info and i scared to death the doctors told me she would never walk or talk. The state even came to me in the NICU and wanted me to give her up by telling me I was young and my whole life ahead of me did I want her weighing me down. I laughed and said it wasnt my life anymore it was hers. Today Sara is almost 12 the oldest of my 5 kids. She has been part time mainstreamed in school for 3yrs and is on honor roll. She was just voted Queen of her school Mardi Gras parade ( we are from south Louisiana). Again I praise you for telling your story. Thank you and God Bless you and your family! What a great story! Good for you for taking such good care of her (and the other kids – PHEW!) God Bless You! What a brave WOMAN (I almost said girl, but realized you were way to mature for that) you were 12 years ago. I wish those people could come see your child now 🙂 Keep it up. SO AWESOME! Thanks so much for sharing YOUR story! I am so proud of mommies like you who are doing it right! Hello sweet Noah!!!! You are totally awesome!!! You guys are a beautiful family and your pictures tell more than 25,000 words. I’d say more like 25 million!!!! Great job!!! awww..thank you so much. You are always so encoring and kind. We appreciate you. NOAH IS JUST THEEE CUTEST!!!! HE HAS A BEAUTIFUL SMILE AND A BIG PERSONALITY!!! HE IS A JOY TO WATCH!!! MOM & DAD KEEP UP THE GOOD WORK!!! U GUYS ARE AWESOME AND U ROCK!!! U ARE A TRUE INSPIRATION!!! Thanks so much! We appreciate the kind words. As usual, little Noah is so stinkin’ cute! Before Ellie, I was so scared when I received her diagnosis (postnatally). I thought that I couldn’t handle it. What would I do? Could I be a good parent to a special needs child? All of these worries were needless as we parent her the same way we would have if she was a “typical” child. I did not receive prenatal testing because 1. I was not “high risk” and 2. we would not have changed anything. Going back in time, would I have changed my decision for testing, I honestly do not know. It saddens me so much that 92% of children with a prenatal diagnosis are aborted. It saddens me that there is so much misinformation and coming from the medical community nonetheless. . . okay, I am off my soapbox 🙂 Anyway, I hope that all of us bloggers out there can make a difference and show that children with Ds are just that CHILDREN first. AMEN Anna. The stories out there are amazing and should be an inspiration to anyone who is told they are at increased risk 🙂 I am trying to figure out when we learn all of this misinformation?? I was so happy to come by and get my daily ‘fix’ of cuteness. Who is the photographer in the family? 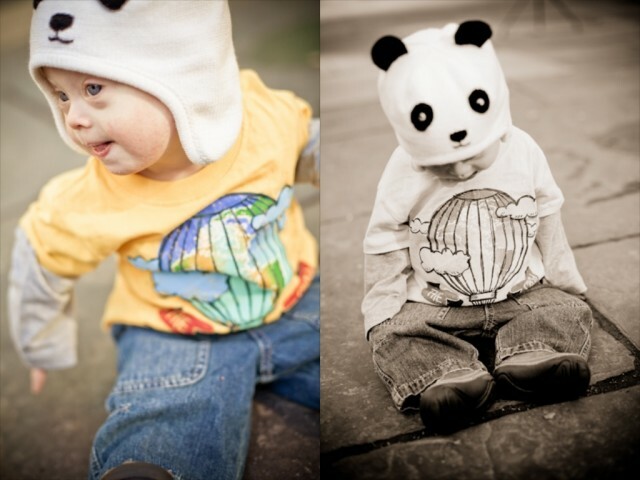 And these pictures were taken by a photographer who is including Noah on a cool project she is working on. He is an adorable little boy. My 2 1/2 year old daughter has Down Syndrome, and I wouldn’t change anything about her. She is a treasure and a joy. It breaks my heart to think that a parent would choose to end their child’s life just because the child has Down Syndrome. It’s tragic! We agree Kristie! We hope to show people that are life is more “normal” than you are apparently told during the screening process. LOVE LOVE LOVE your page/photos and words of encouragement! Can’t imagine life without our grand daughter Dalyla. Not to say we were or are never worried but she puts our fears to rest everyday with one smile! Thank you so much for your kind words. We really appreciate it! Such a stinkin’ cutie!! I never see my youngest as a “Down Syndrome child.” She’s always just been Olivia, and, oh yea, she has Down Syndrome. We get to go to therapy and she drinks thick liquids. Yay! 🙂 Seriously, though, the only reason I had a blood test when I was pregnant is because they were taking several other vials of blood for other tests, what was one more. I know an amnio can tell for sure, but it’s a risk and I was going to have her no matter what. I do wish I had done a little research before she was born since I did have some POSSIBLE notice. It would have prepared me for a typical heart condition that I knew nothing about. The day she was born, hearing the doctor say she had Down Syndrome didn’t bother me. Hearing she had a heart problem sent me to another planet. But, all is well now, and I couldn’t imagine my life without her! I have often heard that after dealing with a heart condition, Down syndrome seems like nothing 🙂 Glad things are going well! Becky it sounds like you guys are doing a great job! Keep it up! I have a friend who has a daughter who has down syndrome, and has heart problems. She has had valve replacement surgery. She would echo your sentements, T’s downs is a reality and they deal with it but the heart problem is by far the hardest. But T is a beautiful 14 year old with an amazing sense of humor and one of the bravest kids I’ve ever known. Interestingly she is one of a set of fraternal twins, one typical one with downs. Thanks for sharing this. Do you have any children of your own? if people want information, they should Google Dr. Brian Skotko who has a sister with Down Syndrome and id world reknowned and has spoken at many conferences about Down Syndrome. It is tragic to think of the lives lost that were likely not carrying an extra chromosome as well. My neighbor had the same thing happen. It was a mistake too! She did have a heart problem but that was resolved. I am glad she had her baby too…she’s a beautiful girl! if people want information, they should Google Dr. Brian Skotko who has a sister with Down Syndrome and is world reknowned and has spoken at many conferences about Down Syndrome. He discusses the misinformation given by doctors. He has done so much to inform the public about cyrrent and accurate infirmation about Down Syndrome. I agree I love what he has to say! The information that he has created at the Boston Children’s Hospital is awesome. we have a link to it in our resource page. Love your site and your pics! Our daughter, Maggie, was born 11 years ago this Valentine’s Day. Maggie not only has Down Syndrome, but has been blessed with Autism, heart issues, and is deaf. 🙂 No matter, each day is a blessing and something I wouldn’t miss for the world. God bless you and your family. Keep sharing your story!! Because even though there are challenges, they are worth every minute. And what kid doesn’t have challenges? wow, you have a lot to deal with. If you have time you should start a blog like this. I guarentee there isn’t a story out there like yours. And I think we would all be encouraged by hearing your stories, the good days and the bad days. Yep, It is all one big lie, based in ignorance and fear, which are never good reasons for action. Thank you for promoting the message that Downs is good. New Zealand based http://www.savingdowns.com is right behind you on this. Here we have a fully state funded health care system, where every pregnant women must be offered a screening test for Down syndrome so that she has a choice to kill the unborn child if there is a positive diagnosis. We value our endangered animals more than our endangered children with a third 21st chromosome. It’s heart breaking. Wow, I love how blunt you are!! Putting the right words in a paragraph really makes people think 🙂 That was great! If I understand correctly, the US government is pushing for the same thing: every pregnant woman must be offered a screening test. Other countries who have offered this have low DS rates, and it makes me shudder to think it’s not because of health advances. It’s because they killed them. It is very sad. There are some good things happening here in the United States though. For instance in Texas a they have passed a new law where a doctor must show a women the ultrasound before allowing them to have an abortion. I think this is a great idea. Sadly many people have misinformation and think that a small baby in the womb is simply a “hunk of flesh.” I think some people actually believe this, and simply need to be shown that the “flesh” is a person. A person that very much wants to live and be loved. One of my greatest prayers is that the horrible stat for abortion rates goes down, down, down. I applaud the great efforts of @Mike and all he is doing as well. For women who desperately want a child and find that the life growing inside them has no brain or is missing other vital internal organs and choose to have an abortion to save their ability to carry future children, forced ultrasound viewing of their desperately wanted child is cruel. There is no scientific evidence that ultrasounds decrease abortions (well, except for making it so that the very poorest women can’t afford them) but there is plenty of evidence that it causes the woman greater physical and psychological harm. Thanks for your comment. I’d be interested in seeing the studies that you reference showing that woman have suffer physical and psychological harm by viewing ultrasounds. Also, do you know the precent of abortions due to a child not having a brian, or missing a vital internal organ? It’s extremely low, in fact it’s less than 6 precent. 93% of abortions are for social reasons ‘child not wanted, or is inconvenient.’ Down syndrome children fall into the 93%. That is heart breaking. I am skeptical that there is truly evidence of harm because a woman sees an ultrasound before choosing to abort a child. However, there are studies that show that many women suffer acute psychological harm AFTER having an abortion, for any reason. I can share an experience I had one time when I was sitting in a restaurant with my son when he was about four. All of a sudden a woman rushed up to me from another table, said “he’s beautiful!”, burst into tears and ran out the door. Her husband hastily gathered up their children, came up to me and mumbled “I’m sorry” with a stunned look on his face and left. I tried to think that maybe they were wrestling with the decision and decided to keep the baby after that, but what is more likely is that they had already aborted a baby with Ds, and this woman will never forgive herself. This is the cruelty, pretending that you can do away with this “defective” baby and that will make everything all right. It won’t, and this is not the answer. We don’t have the right to say their lives are not worth living. We thank God every day we have our son, despite the challenges. We call him the “heart” of our family for good reason. We are from New Zealand too and we were just told our baby almost definitely has Down’s syndrome (i.e. 99% chance).The saddest thing about it is people’s reactions are still in the Dark Ages – looks of shock, horror, and comments like “you’re going to have a weight on you for the rest of your life.” But don’t worry – we are not aborting because stupid fears from ignorant people won’t rule us. One comment about NZ screening: my wife was not really given a choice after the initial 12 week scan. She was told “it’s in everyone’s interests to know whether the baby has Down’s syndrome” and was pushed through various tests without asking us if we really wanted them. I had 2 minutes – yes, two minutes – to decide with my wife about her having an amniocentesis. We barely registered that an amnio bears a risk of miscarriage. Because it’s our first child, we didn’t question the system but went along with it. When the tests came back positive they presented a bleak picture of the worst case scenario, so both of us – who before all this were very anti-abortion – felt like we were cruel for HAVING this child as “it may struggle with learning and may have physical defects”. If anything, this has made me empathise with people who abort children with Down’s syndrome, not because I agree with their decision, but because there is pressure on you to do so – from other people, families and the medical community. The medical community present the worst case scenario, then tell you “it’s ok, you can abort up to 23 weeks.” For a woman under immense pressure, it would be easy to abort. Thankfully we had a lot of people telling us that we shouldn’t abort and how a lot of what we were being told was utter trite. So thank you for posting this site. It has given me even more hope about the future, especially becuase I can see you guys really love Noah and that he really loves you. 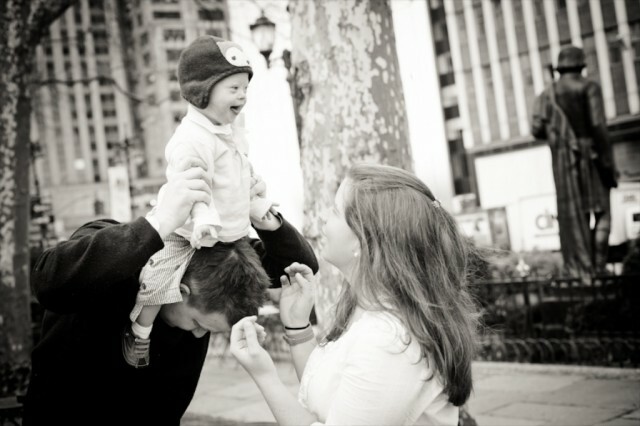 I know we’ll love our child just as much as any other parent. Thank you for spending so much of your time, talent, effort, energy, and funds on getting the message out that Down Syndrome children and adults are a blessing to all of us. There is absolutely nothing to be afraid of. After our little Matthew was born, I began to question why Down Syndrome testing is often pushed on hopeful mothers under the guise of “High-risk” pregnancy. Cannot for the life of me figure out what the “risk” of Down Syndrome is. Keep fighting the good fight and we will try to help you! Thanks Brett! I really appreciate the kind words. How old is Matthew by the way? Thank you for your site- I look forward to checking back in often. Our fifth child, Ian was just born Dec 1st and he has Down syndrome. We have a high learning curve ahead of us so sites by those who have walked this path ahead of us are a Godsend. We are in the Air Force and trying to get out of Northern Japan so that we can have his medical care and upcoming heart surgery taken care of soon. We had no idea that Ian had any downs markers, but after the initial shock we are very blessed to have him in our family. He completes us- he is the missing puzzle piece and we look forward to seeing where his journey takes us! Thank you for sharing slices of your journey. Congrats on your baby and good luck getting to the places that you need to be to help take care of him. Thank you so much for sharing your journey. Your boy is darling and like any proud father, you have every right to brag and show him off. I get so sad thinking of all those parents who decide they don’t want the “challenges” that might come if their child is different and it worries me that we might have a future without children like this. Thank you again. We totally agree, it is so so sad. Okay, Enough with the pictures! They are so stinkin’ cute and sweet! I can’t decide which one is my favorite!!!! Seriously, keep those pictures coming. I love looking back when he was Enzo’s age, 5 months ago. I love seeing how much he has grown and how well he has progressed. Enzo is right there with him! I am liking this post for sure and posting it on my Facebook!!! We definitely need to share with people how great it is to have such a blessing from God! It looks like you are going to be our top commenter this month! (You can check out the ‘rankings’ on the right side of the blog. It will reset each month. OMG! With all these people I am surprised…but happy!!! I just saw what you were talking about on the side. Forgive me, I usually don’t look on the side panel….but will now. Oh and a blog? eeek! Still thinking about it. Your blog is the best! Our daughter, Wendy, was born with DS almost 44 years ago. She is the loveliest person I know (apart from my other two daughters) and we, and all who know her, would be far the poorer if we had not been blessed with her. Of course, Wendy’s life has not been all plain sailing but the joys far outweigh the difficulties. Good wishes to Noah and all your family and thanks for helping to spread the good word about all our children. Thanks for sharing your story!! 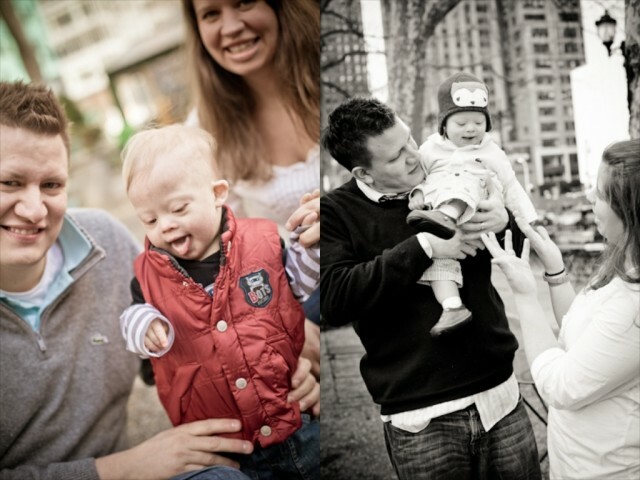 It blows my mind what adults with Down syndrome are doing today, especially considering what their parents were told. I can only imagine the things that were said to you, and now look at where you are!! Thank you so much for posting this today. I’m just a couple of weeks away from delivering our little girl with T21 and just shared last night that I was beginning to feel scared again. I’m so grateful to be connected to other parents like you that show me every day how lucky I am to have been given this gift. Can’t wait to post beautiful pictures like these next month! We can’t wait either!!!! So excited for the birth of your baby 🙂 It is nice to finally hold them in your arms. I can only imagine the fear you have right now of just not knowing what it is going to be like. She will continue to amaze you daily. We can’t wait to see pictures! Congrats on your baby!! Let me start by saying your Noah is just too stinkin’ cute, how do you stand it? I continue to be shocked and saddened every single time I hear the statistic 9 out of 10 diagnosed with down syndrome are aborted. I gave a talk to a diversity team at my office discussing this and I had trouble getting through that part of the talk because it really chokes me up every time I think of it. When I was pregnant the first time my doctor ran all the tests without even asking me if I wanted them, I never questioned that I just thought it was normal. When I was pregnant the second time my healthcare was through a mid-wife service and they didn’t do any additional tests I didn’t want. When they asked about these tests we told them we didn’t want the tests because they wouldn’t make any difference to us. I was glad we made that choice. My daughter was only 22 her boyfriend 21, when the baby she was carrying was diagnosed with having down syndrome. These two young people did not falter and I can’t begin to tell you how proud I am of the two of them. Our entire family embraced this wonderful new blessing we were preparing to welcome into our family. I won’t lie, it wasn’t the news they had hoped for but we were all already in love with this baby and it made no difference to us. And every time I look at his beautiful smile I wonder how anyone could have decided he did not have a right to be here any more than his big brother does. I know there will be challenges ahead for the entire family but I also know that with those challenges we will all grow in wonderful ways we never imagined possible. Each and every one of us is created by God in just the form He feels is perfect for each of us. How can we question that? Thank you for sharing so much of the joy and wonder of our world for everyone to see! We also did not have the testing done as we were of the mindset that we would not change anything if we had known anyway. I was 31 years old when expecting our little angel. She is perfect, has much to share with this world and those she has touched will never be the same again because she attaches herself to a thread somewhere near the center of your chest that helps you realize that you are loved at no cost whatsoever. How unfortunate that others have not given these littles ones a chance to in life to show them this love. And how lucky we are, who have chosen to give life to these children. Looking back, if I would go through it all over again knowing what I know today, my decision would be exactly the same! My Jenna is now 36 and I can’t imagine my world without her. We were not offered any prenatal testing because those tests did not exist at that time. I was only 21 and this was our first child. We were so sure she would be perfect. We did not find out she had Down syndrome until she was 3 months old because they lost the first chromosome analysis. Of course by that time we were already head over heels in love with her and wouldn’t have changed a thing. To all of you new parents: the first few years are hard but the rewards are so worth it! Our Down syndrome children are the most delightful and heartwarming individuals and we are so very lucky to have been blessed with them! And I went on to have 2 more children, both “normal”. And I chose not to have amnioscentesis or any other tests with my second child because I knew we had hit the jackpot with Jenna and would and we would not have another Jenna. I was right, she’s one of a kind! The reality is with kids there are no guarentees. Most parents fear dealing with disability, medical issues, the death of a child and we would all agree these are hard things. But there is no guarentee that even if all the genetic testing is fine and your child is born healthy and typically developing, that life won’t give you some of these issues through other circumstances. If it did would you then consider killing your child? Of course not. Then tell me what is the difference in the two, killing before birth or after. Another mother recently told me that all children have their challenges, with Down syndrome they are giving you a hint at just what those challenges are and we can start working on them right out of the gate. We were told Samantha was healthy. We like you guys found out after and in such a harsh way. Our genetic counselor told us don’t plan for college, a home of her own, a job, a fute in otherwords. I cried for days blamed myself and didn’t want to show her to my friends. It took weeks before I came to grips with it and then started to slowly tell people. I’ve lost friends because of it. They don’t look at her the same way and it breaks my heart. She is so happy and fills our lives with love. I have hopes and dreams for her just like I do my 2 older girls. Sure they may need a little extra time to develop a therapist to help them along the way but as a parent I will love her with all that I am until the lord takes me from her. i wouldn’t change a thing!! I am so sorry that you and your child were treated that way. Maybe we need to start hitting the genetic counselors up, shoot they are the ones that the Ob’s seen all of their patients to, maybe they are the ones with all the wrong information. I am so glad that your outlook is so positive and you are not setting limits on your child. I was thinking about this post again, and trying not to cry. We have a ministry here that trys to educate about the horror of abortion. One of the tools they use is life size models of the baby at verious stages of development. I saw these once and I remember picking up the 24 week baby, these are weighted like a real baby, and show what is developed by that stage. And I remember seeing all the little parts. That’s no blob of fleash, its a baby, eyes, ears, mouth,etc. And I remember mine being born a 32 weeks, just over the limit of when you can have an abortion in Ca. They were real babies, precious and tiny but very very real. I wish women and young girls were told the truth about abortion and their babies. I wish they knew that there is so much support out there for our special babies, and the typical ones too. I wish they feel the love that I feel everyday when my 14 year olds come running from the van and practically knock me over with their hugs. I had the priveledge of caring for a little girl who was severly disabled. She had severe seziurs, couldn’t walk or talk, or even feed herself. But I count it one of my biggest blessings to have met her. You see she was one of the happiest children I have ever known. She had the biggest smile and smiled often. She loved me as much as she was capable of. She didn’t care if I was having a bad hair day, if my clothes were a mess or anything. She knew I was there to be with her, to take her out of her chair and dance with her, or go to the big swing, or to sing silly songs or just go for a walk and look at the birds and trees. She helped me through a very hard time in my life, and brightened so many other lives too. She was no waste of a human life, she had a “mission”, a heritage, touching people in ways that only she could do. All life is valuable, end of discussion! AMEN KIM!! Having worked in the neonatal intensive care unit with all those wonderful premature babies, I think people would be shocked to come hang out with the 23-24 week old infants we are fighting to help survive. The babies who people love deeply, and morn for when it turns out God needs them more than we do, and celebrate when they get to finally go home. My brother and his wife had their first child when she was 22 weeks along. The doctor on at the time basically told them it wasn’t worth their effort to resuscitate. Thankfully my brother and his wife were insistent because they have a beautiful 6 year old daughter today! How precious these little lives are. Keep sharing this message of love! Becky, I’m so thankful your brother and his wife didn’t listen to the doctors. Feel free to post a picture of their daughter sometime if you’d like! 🙂 You can actually post pictures in the comments now. And thanks also for the kind words of encouragement. I once had a speaker when I was in college that had adopted a girl with Down Syndrome. I was really excited to get to meet her and hear their story…but one of the first things they said is that they were pro-choice and that they completely understood aborting after a Down Syndrome diagnosis. Her daughter was in the room. Thank you so much for being a voice for these children! Your son is BEAUTIFUL and your post brought tears to my eyes. I will be sharing this post on all of my social networking avenues. Thank you so much for sharing your story, it is so important that people know this side of being a parent of a child with special needs. Most of the reaction I hear is “I feel so sorry for them.” “What a burden.” Thank you for showing the world that it can be a joy. I am sure it doesn’t always feel that way in the moment, but I could also imagine that having any child could bring those same feelings! I will be following your blog now!! Wow…are you serious!? That is unbelievable. Thanks for the kind words about our site, and we look forward to having on on the journey. Where are you guys from? I bet you guys dont have very much wall space left these days. I know I wouldnt with all the wonderful beautiful pictures. Gimme time and my walls will be full too! I have had three children (4 months, 2 and almost 4) and am only 26. Despite only being 26 and low risk, I opted not to have any testing done. I knew that the results would not change my mind about whether or not to have my amazing children. I realize that the argument for abortion with down syndrome children is often made out to be a compassionate one — you’re sparing them teasing and abuse. I do not buy into this. I don’t think that it is our right to decide what our unborn child may or may not have to go through in their life. You’re guessing that they may suffer, when in reality I see many adults with down syndrome working and thriving in my community..and they are HAPPY! What a wonderful Blog. I too have a child with Ds. We adopted her at five weeks old and if her mom had known that she had downs, she would have been aborted. I believe that God hid the pregnancy from this mom and saved a beautiful child for my family and I to love on and enjoy. What an absolute joy she has been to us. I love the information that you put on your site. I am going to start using the exercise ball soon to strengthen her core. Our little Ella Grace is the second special needs adoption in our family and I have to tell you that I feel like I have joined a secret club. Wow, what an awesome story. You guys sound like great parents. 🙂 Where are you guys from? I have finally made it here, from a friends blog. Noah is absolutely adorable!!! 🙂 You guys are a beautiful family! What a great post. And Noah is irresistible! This post should be seen world-wide. Our second son was diagnosed with a serious heart defect at our 20 week ultrasound. After being informed of his bleak prognosis for survival we were offered the option of an abortion. We said no. My son lived for nine weeks, all of them in a NICU. But how precious those nine weeks were. My son, with his broken little heart, is a dear to me as my other three kids. I wish that people could understand that just because a path is bound to have difficult and painful experiences, that doesn’t mean the path is not worth taking. What path that we take doesn’t have some pain? Thank you for the beautiful post about your son. Those pictures are such great glimpses into his personality. I might be wrong, but my understanding is that the 9/10 abortion rate only applies to people who have had a positive Down Syndrome diagnosis from amnio or CVS. 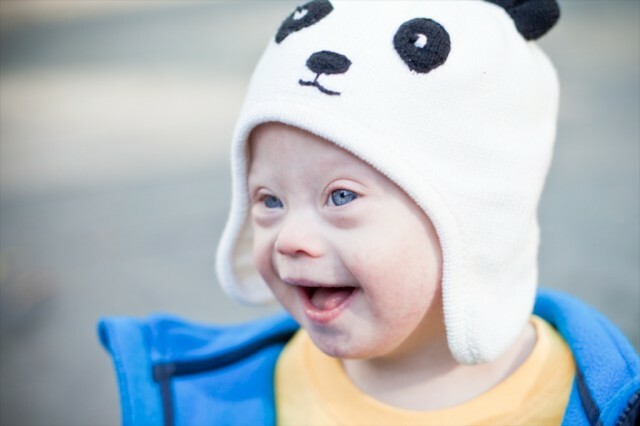 Many people who would not abort for Down Syndrome don’t have the screening tests at all. Others do as we did, and have the screening test, but don’t follow up with an amnio due to the risks (after that experience, we skipped those tests with our 2nd pregnancy!). So while that 9/10 statistic is still terrible, it does not mean that 9/10 people in general would abort for a Down Syndrome diagnosis. Those who would not abort for any reason tend not to have the diagnostic tests in the first place (I know there are exceptions, some people just want to know). P.S. Noah is super cute! When we got a high risk on our AFP test but refused the amnio, it was blogs like yours that brought me peace and resolve. I was still apprehensive about the possibility of DS, but much less so after seeing the adorable children and the happy families. I knew DS would be challenging but rewarding. Thanks for all you do! Thank you for sharing your beautiful pictures. Noah is beautiful. Thank you for your part in getting the message out that DS should not be a death sentence. Beautiful story! 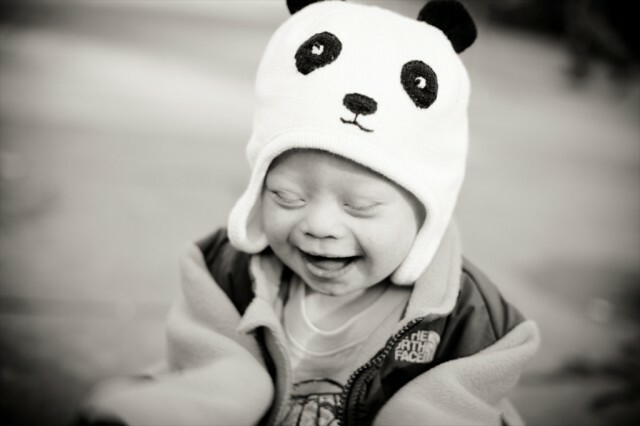 Every down syndrome child I have ever met is definitely a gift from God! wow, Noah is so adorable, i couldn’t help but fall in love with those eyes. Your story is beautiful, thank you for sharing it with the world. Thanks so much the kind words. We enjoy sharing his story. Do you have any children? Love this post! Our children are gifts from God. Thank you once again for everything you and your lovely wife are doing for our children. I truly believe that it is time for us all to get the word out there. Our babies are worth more than anyone could possible imagine. Thanks Amy. I really appreciate the kind words. How old are your children? I am so glad to have found your site. It is so encouraging. My little Clara is 10 weeks old and the light of our lives (along with our 8 year old and 15 month old). We thank God for our family and thank you for sharing your stories and your faith! Thanks for doing this and sharing photos of your special and beautiful son with us. If just one more child gets a chance at life because of this you will have created a miracle! God bless your son and your family. Thank you very much. I really appreciate the kind words. Please check out Research Down Syndrome if you would like to learn about some exciting developments in cognitive research aimed at helping people with Down syndrome. Our children are a beautiful blessing now, and hopefully this research will lead to help for them in the future. Read about it at http://www.researchds.org and be a part of this breakthrough! Oh yah, we know all about those guys…we were just checking out their site tonight actually. My little boy is 5, and I couldn’t agree with you more. Incredibly sad how people will go to the ends of the earth for their child when they develop a sickness or disability at some point, but most wouldn’t give that same child a shot at life before they’re born. I would not even want to imagine my life without my son in it. Yes, it does take more effort to raise a child with special needs, and there are more worries at times, but so what? I think your average person would be surprised at how normal our lives really are. In fact, the most abnormal thing I’ve had to deal with are the well-meaning (usually) but oftentimes ignorant “normal” adults who feel they can ask me anything about my son. If I had a dime for every time I’ve been asked, “So does he go to a special school?” or the sappy looks of pity from some. The only time I feel put-upon is when I have to suffer these fools! My son is funny, bright, loving, energetic, and a holy terror to our cats. And like your beautiful son, and like every single person with DS I’ve met, he has the full range of emotions that any other human being has. Not only do we love the hell out of him, but he is a good person to know. We genuinely enjoy spending time with our son. Keep up the good work, Noah’s Mom and Dad! Thank you! I think he is perfect! I had a Doctor call me personally after my 16 week test to tell me my baby had Down Syndrome and that I needed to abort that week. I refused. She called me a total of 7 times urging me to abort. I had my beautiful baby with no signs of Downs even though it didn’t matter to me. I would love her just the same. I personally went to her office and put a framed picture of my baby on her desk to remined her everday of what she did. I think all babies are a gift from God! I will take what he gives me! 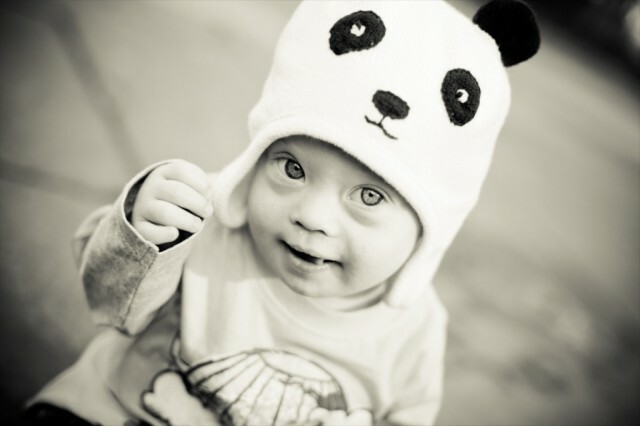 Reason #26- There are many types of Down syndrome including 4 main types. The current standard in the industry is to test a mere 20 cells (out of the trillions in the body). According to EXCLUSION OF CHROMOSOMAL MOSAICISM WITH TABLES OF 90%, 95%, and 99% CONFIDENCE LIMITS by EB HOOK, mosaicism for chromsomal conditions cannot be excluded with confidence unless greater than 459 cells are examined. Support 500 cell counts and the amendment of the Public Health Service Act/Prenatally and Postnatally Diagnosed Conditions Awareness Act, which ensures that accurate, scientifically-sound information is provided whenever chromosomal diagnosis are concerned. The current law, as it reads, does not legislate the minimum number of cells that should be examined, however, which leaves room for inaccurate diagnosis and incorrect information and further leads to inaccurate research. Show your support today by signing the petition on change.org THANK YOU! P.S. My son was misdiagnosed with Trisomy 21 100%. It took nearly 4 years to get him a quantitative cell count and rediagnosed correctly with MDS 50% (Mosaic Down Syndrome). As a result of the first incorrect diagnosis, which remains unchanged on his medical record today, many medical professionals failed to diagnose conditions he should have received medical treatment for. His head tilt was blamed on Trisomy 21 and the low muscle tone traditionally associated with Trisomy 21 type of Down syndrome; nearly 9 years later, he was diagnosed with Cerebral Palsy due to a brain infarction found on MRI. His speech and language issues were also blamed on Trisomy 21 Down Syndrome, as speech delay is commonly associated with this type of Down syndrome; it took 5 years to get diagnosed with apraxia and almost 4 more beyond that (total of almost 9 years) to get diagnosed with aphasia (which is ALWAYS related to brain injury and NEVER related to ANY form of Down syndrome). For nearly 9 years, my son went without proper medical treatment. Doctors *assumed* he was *mentally retarded* (THEIR WORDS, not mine), as they told me,and would soon follow with an apology for his condition. It was not until February 1, 2012, that we found out that my son had a postnatal stroke due to a posterior cerebral hemorrhage. The perinatal anoxia was the *cause* of his speech & language condition and brain injury was the cause of his head tilt. 8-9 years is way too long to wait to treat these conditions: stroke and aphasia. Please take the time to read the BILL and sign the petition. I see there are a lot of viewers on this site. Together, we can make a difference. Correct diagnosis does make a difference. Well said! I have always told my children that if someone is trying to scare you, they are trying to control you. I think the majority of the medical community actually believe they are doing the world a favour every time they coerce a family into rejecting their child with Down syndrome. I will stand toe to toe with every single one of them and tell them they are the ones who are disabling society by removing these uniquely talented and gifted people from our midst. I have written a number of fiery letters to doctors and hospital administrators when I have come up against “professionals” who use subtle negativity about Down syndrome with me. Expectant parents need to know that the best resource to learn about parenting a child with DS is other parents. The doctors usually know as much as you would read in a text book, which are usually outdated and biased. Doctors are some of the least informed people about Ds as they never actually interact with people with Ds. Those that do, are usually their biggest supporters! Your OB/GYN knows NOTHING about Ds, so don’t use them as a resource. And I wanted to add what an adorable son you have! 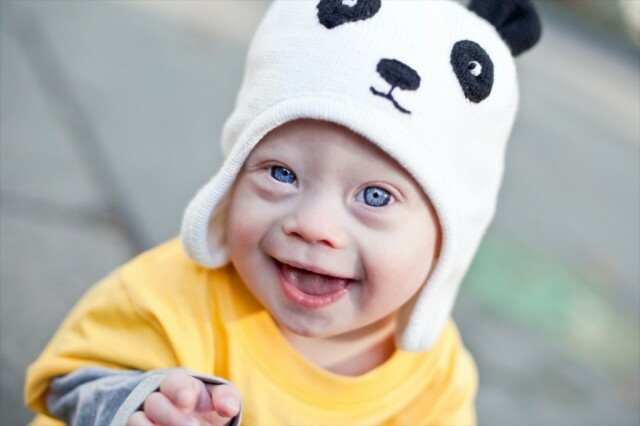 What a great age, Noah reminds me of my son at that age, with those blonde locks…..
hai i have down syndrome baby did can i ask there is any catogrees in down syndrome? Your son is absolutely gorgeous! Thank you for sharing him and your story with us. My husband and I are hoping to adopt one or maybe more children with Down Syndrome. They are just so beautiful, full of life and put on this earth to bring people sheer joy! Very cool. Do you guys know about Reece’s Rainbow? 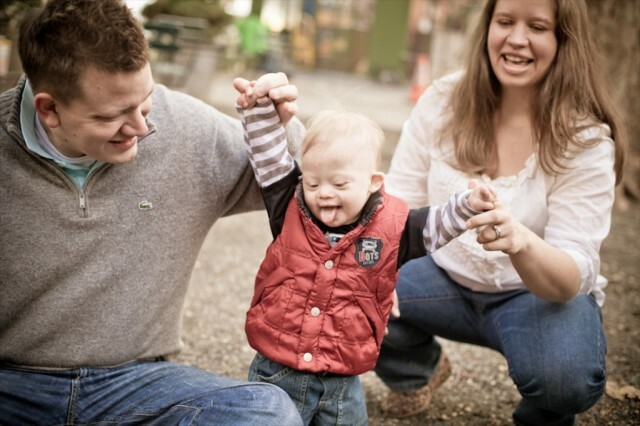 They are a great place to connect with in regards to adopting a child with Down syndrome. If you click on their logo on the right side of this page you can find out more about them. Thanks! By the way, do you have any children? If so how old? My daughter, Kendra , is now 3. She is the best thing that has happened to our family. When I got the results of my AFP, the doctors wanted me to get further testing to make sure. I immediately declined. They explained that at this point many parents decided to terminate!!! I was so shocked, I told them to never, ever mention that to me again. We too, could not imagine our lives without our precious little gift from god…thank you lord! She is very highly functional at this point and as for the future, god only knows. To us it doesn’t matter. She is ours and we like it that way. I cannot even think of how parents could be so cruel to terminate and not even get to know their own child. Parents who don’t want to have to deal with the trials and tribulations of real life and would not have the perfect world with a child with a disability…how selfish!!! Love my baby girl, Kendra! My little sweetie is 3 years old today. I can’t imagine my life without her. Thank you for sharing your positive outlook. I too refuse to believe that Down Syndrome is a bad or scary thing. My other child has Autism so I really don’t know what it’s like to raise a typical child. I can say for sure that Georgia is a much easier going child than her brother. God is with us. Onward Christian soldiers! Down syndrome is beautiful! My little girl with extra goodness is 2 and I can’t imagine the world without her!!!! Nice to meet you! 🙂 Where are you guys from? Thank you for sharing your beautiful message and your precious son with us. Thanks! Do you have any children? Wonderful! Hold old is your child? 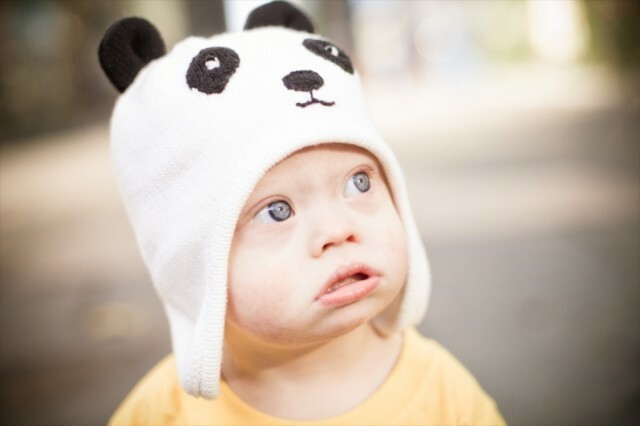 Your blog has really helped me and my family with the diagnosis of my 2nd son, Trevor, with Down syndrome. We really had no prior knowledge of anything related with Down syndrome. 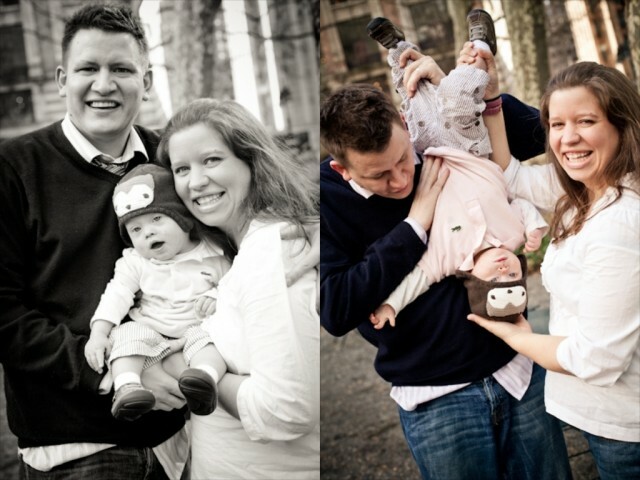 I am so encouraged by seeing the pics of your son, Noah, and how “normal” he is as a baby. He is so adorable too – in fact, I see a lot of my son, Trevor, in him. I noticed also that you are a Christian. 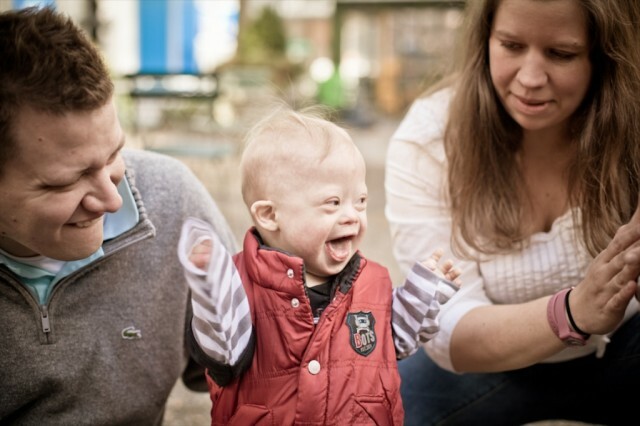 I am finding more and more Christian families that are having babies born with Down syndrome. I think God has chosen us on purpose to show more of His unconditional love towards all. Our journey is only 3 1/2 months in with Trevor, but I see God forming and leading us on a great walk. I never would have imagined this life before, but I think it is even better than I could have ever imagined. Blessings have taken on a whole new meaning. So thankful for babies like Trevor and Noah. Thank you for your continued post. I just love getting to see all the updates! I’m glad there is people like you out there trying to save the unborn, my brother has recently been diagnosed with autism and while that is a different thing altogether, they still get the same stereotypes of being “not all there”, but in our eyes, these miracles have more personality and more life than anyone else. And they all need to be seen as apart of society. Stigmas are controlling people’s minds. It’s not a disease, it can’t be ‘fixed’ or ‘cured’, it’s a blessing. When my aunt was pregnant for the second time she found out her son would have Down Syndrome. Her “Christian” doctor told her that he wouldn’t think any less of her if she had an abortion. She said, “But I would,” immediately walked out of his office, and found a different doctor. My cousin just graduated from high school and is one of the most positive, friendly people I know, yet some people would have wanted him aborted because of an extra chromosome. 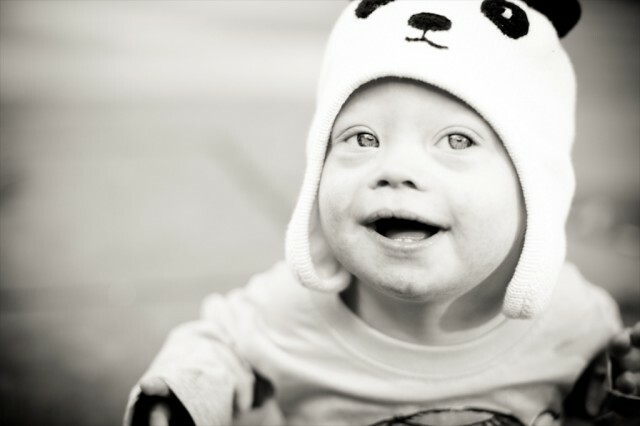 Thank you for helping people realize that children with Down Syndrome deserve to live just as much as every baby.